Latest update (October 20): We updated the dsPIC roadmap and posted an early version of the feature list for the next version of PIC compilers. reach it from the Main page of docs.mikroe.com). It is a great news for me because it is the first compiler I bought and it is the one I use the most. Last edited by p.erasmus on 09 Sep 2016 11:57, edited 1 time in total. I've said this before and I'm repeating it now: publish a list of known errors in the IDE/Compiler and in the helpfiles. There should be a thread where possible bugs etc. can be posted and that's available to all. A roadmap is fine, but what I see from the example is far from complete. - updates of compilers was not as frequent as it should, in some cases we have made very long period between as with dsPIC compiler. but also support and feedback relationship. As always it may be that we will make it happen, and it may be that we will fail in some aspects. going in good directions so we are confident that this is it, and we made it public. I fully agree with this statement. It has already been asked for many times. dsPIC compiler will be released before end of October instead end of Q3 as initially planned. 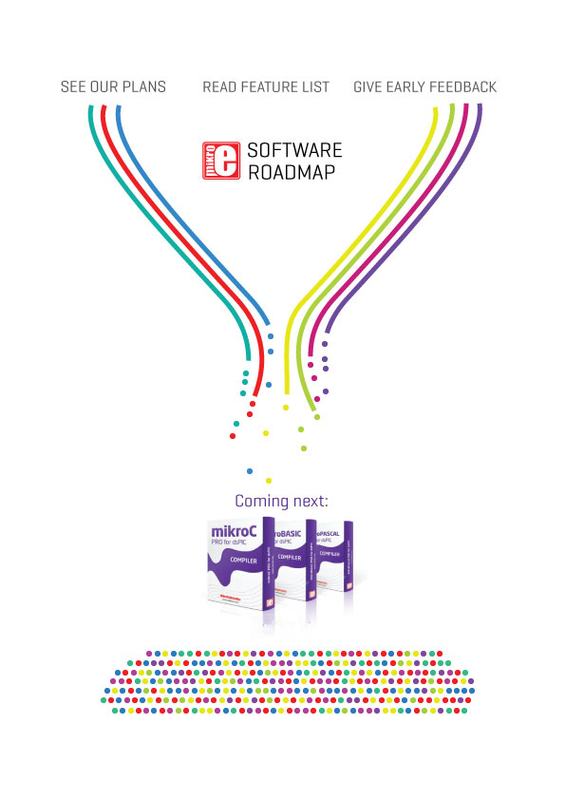 (this mikroProg release will bring support for new MCUs). I need to start a project with Mikroc pro for dsPIC and Visualt TFT soon. Do you think that I could import the project in the new version of the compiler or it is better to wait its release ? You would be able to import the project to the new version. If you get to have any doubt about that, we would be here to help you out.